Edited by John Wilcockson with photographs from Graham Watson. Marco Pantani died alone on Valentine's Day in a hotel called 'The Rose' just one month after his 34th birthday. In 1998 he won the Tour De France and Giro d'Italia in the same year. in 2000 he twice defeated Lance Armstrong in mountain stages of the Tour De France. When Panani embraced the drug culture of professional cycling he plummeted from the heights of stardom to the utter depths of depression. 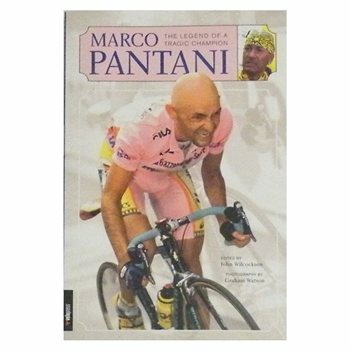 Includes an interview with Pantani's girlfriend Christina Jonsson which had never been published in English.